The Rebel Sweetheart. : The must-have 2013 wedding flowers. The must-have 2013 wedding flowers. When it comes to the wedding flower trends for 2013, it looks like there will be two distinct decisions to make – either go traditional and opt for the country garden style that has been so popular across the globe for a number of years, or be more daring by going for bright, bold rainbow colours, neon accessories, big blooms and supersized accessories. Whether your flower choices are safe, tried and tested ideas, or that little bit more adventurous, it’s easy to achieve a beautiful look. 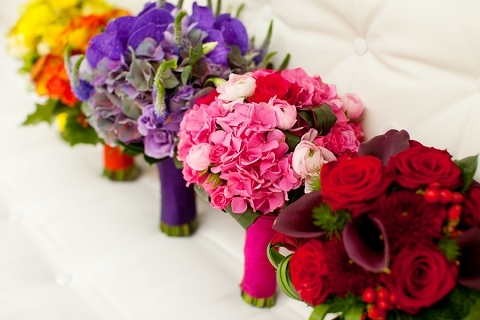 For 2013, the big idea among all flower delivery and bridal design experts is that one main flower colour will be paired up with a single strong accent colour. Good examples touted by florists include a daring lemon and grey, stylish peach and emerald or bright coral and turquoise. There’s more to it than colour though, with the use of stripes and spots bang on trend – to go with stylised fonts on other wedding bits and bobs such as stationery. Accessories matter too – pinwheels add a big burst of fun, not to mention a retro feel. You could say modern meets retro in 2013’s most fashionable weddings. 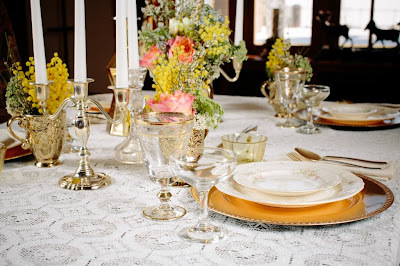 Downton abbey has, pretty much single-handedly taken fashion, interior design and, of course, weddings, back to the elegance and luxury of the 1920s. However, there’ll be no period drama if you choose to match old-style gold, beautiful pearls and oh so in-demand antique mirrors with velvet fabrics, brocade, beading and lots and lots of texture with rich colours. 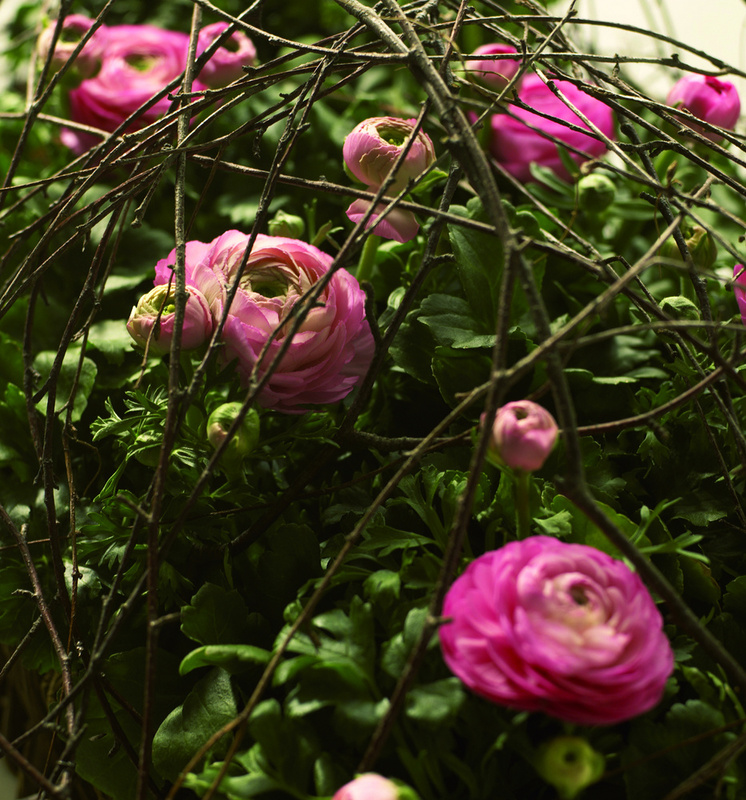 Big blooms create a sense of theatre, with dahlias, hydrangeas, ranunculus, tulips and anemones absolutely spot on. 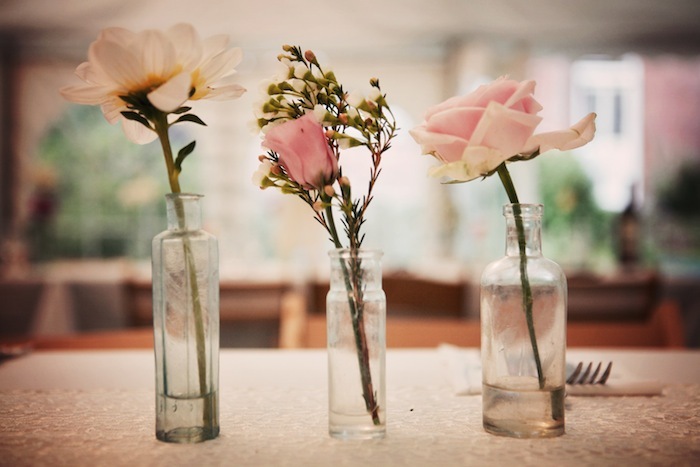 This idea has been touted for a number of years now, without ever taking off, but 2013 is definitely the year when fresh, clean lines will come to the fore at contemporary wedding celebrations. Dark vases should be combined with pure white blooms such as anemones, hydrangeas and ranunculus. As mentioned earlier, vintage will be big once again this year. Blush pinks, pale peaches and washed- out foliage are in, as are blowsy roses, papery blooms and unusual foliage. Of course, with the world still in economic meltdown, many brides will be opting for a DIY approach. Good advice here is to opt for loosely-styled flowers as it’s an easier look for an amateur to achieve, with lots of smaller containers used. Herb plants in small galvanized containers are a fun table centre that can also be used as favors. This blog was written for The Rebel Sweetheart by Austin Clark, freelance flower, travel and retail writer. Spotlight | Cure Natural Aqua Gel. The Magic of Magnetic Therapy. When in Texas, My Texas Wills. Pageant Dresses for the Little Beauty Queens. Things to Consider when Choosing a Wood Stain. Photo Ready Giveaway | Win a Canon EOS Rebel T4i! Wordless Wednesday #35 | Building Blocks. 5 Tips to Start a Blog. Get Spring Cleaning for a Sparkling Home. Cars for Mums on the Move. Foodie Goodie | Simple Treats by CDC. Wordless Wednesday #34 | Maggie Boo! DIY Projects for the Bedroom. Join | Pre-Mother's Day Giveaway! Join | HGTV Home Furniture Giveaway! Foodie Goodie | Japanese KitKats! Wordless Wednesday #33 | McDonald's Kiddie Crew! Spotlight | TonyMoly UV Sunset Daily Sun Cream. Make Your Porch One Great Place. Spotlight | BYS Smudgeproof Waterproof Eyeliner. Sign-Up | Warming It Up Your Way Event. Sign-Up | Photo Ready Giveaway Event. It's Raining Money! $1000 could be yours! Promise Rings | Harbinger of Things To Come. Wordless Wednesday #32 | Becoming the Bookworm. Join | iPad Giveaway Event!